Music is life, a true-healer, and stress-reliever as well. To immerse in the sea of music, you just need a good pair of headphones and we have it for you. 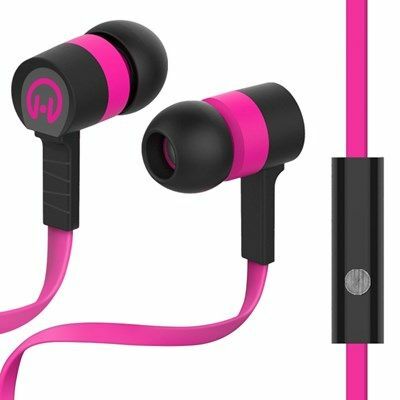 Nikos a leading corporate gifting company is here to offer the coolest and funkiest range of Wireless Earphones In Pune Mumbai. From simple look to funky design, we have all the collection at our store that makes you fall in love with the product. Being the top-class Custom Earphones Suppliers In India, we offer the earphones in the different, sizes, colors, designs and styles and of different brands. Their sound base is very clear and is your ideal companion that keeps you connected and comfortable. Music is something that never leaves you alone and fills your heart with joy. It is engineered to survive life on the go. What are the common characteristics of a good pair of earphones? High Sound Quality: The very first thing that matters the most in the selection of a headset is its sound quality and music base. If the sound quality is high and music base is clear, so, it is worth to buy the product. Comfort: Another thing that makes it a good headset is the level of comfort it provides. Make sure you check whether they fit on your head properly or not, or their outer coverage is of good material and never harm your skin. Mobility: Make Jogging Earphones your partner that set your mood and motivate you to do exercise. Therefore, it is important to check the mobility of the headphones. Bluetooth Earphones easily get connected to your phone, laptop or tablet, so, you can enjoy the wireless experience on the board or wherever you are. To buy them now, reach us through given details.